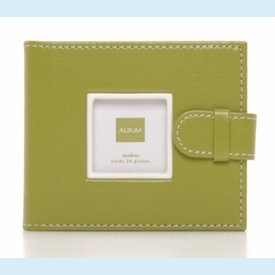 Perfect mini brag book is sized like a wallet yet holds 24 small (2x3") photos, plus a cover image. Leather feel with contrasting white piping on cover. Also available in black and aqua. Gift boxed. 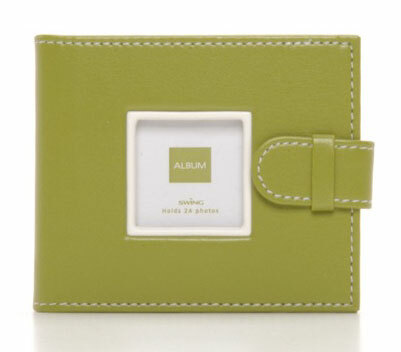 ▪ Folding Photo Keychain - 3 colors!